Available in 6" and 3" sizes. Wood shaft applicators. Manufactured by Kendall now part of Covidien. When Kendall was manufacturing these, they were great. My latest order had a new name on them--Covidien--and a drop in quality so severe that I will never, ever order these again. In just the pack of the first 100, more than half of them have broken when I attempted to use them. Look elsewhere for your wood stick cotton applicators. I've been looking for these locally for several years since the drugstore where I purchased them went out of business. My daughter found you on line from a package wrapper I still had. Thanks- they are so much better than the soft qtips for me. 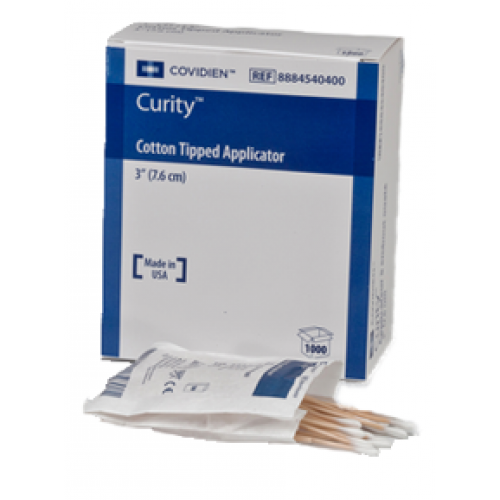 I use these applicators to push iv sponges (gauze) in hard to reach places to protect healing wounds. I use the applicator to push iv sponges underneath a trache for protecting a healing wound. Gets in those hard to reach places. It’s the best Q-tips applicators I have ever used. I used them to clean my medical equipments. 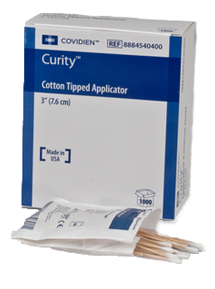 Q-tips applicators are soft, absorbent tips. It is an effective and easy to use product.